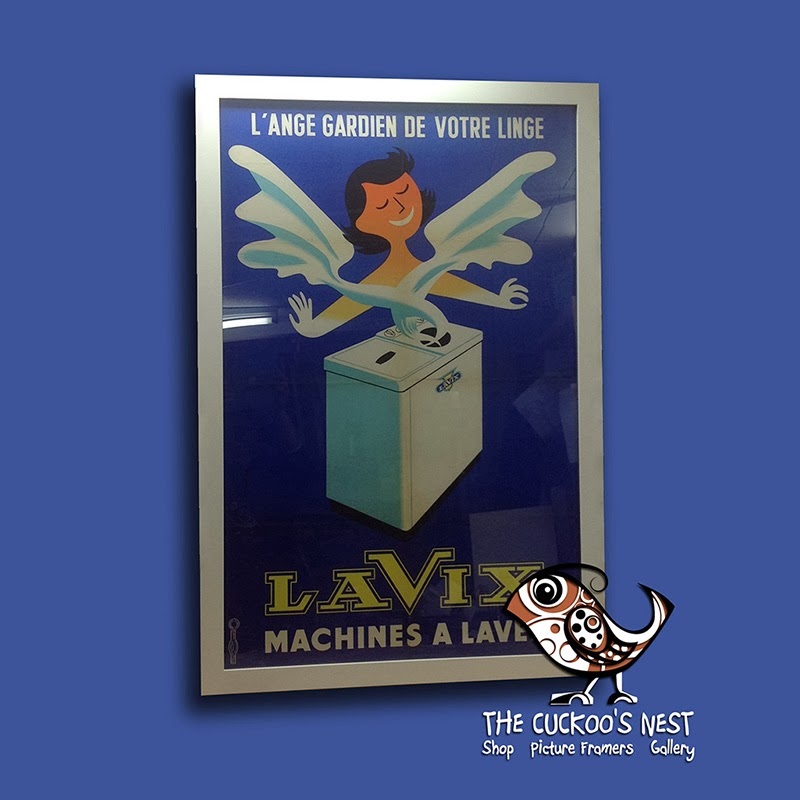 Here we have a vintage washing machine poster which came in as part of an amazing collection of posters that we framed up for a customer recently. 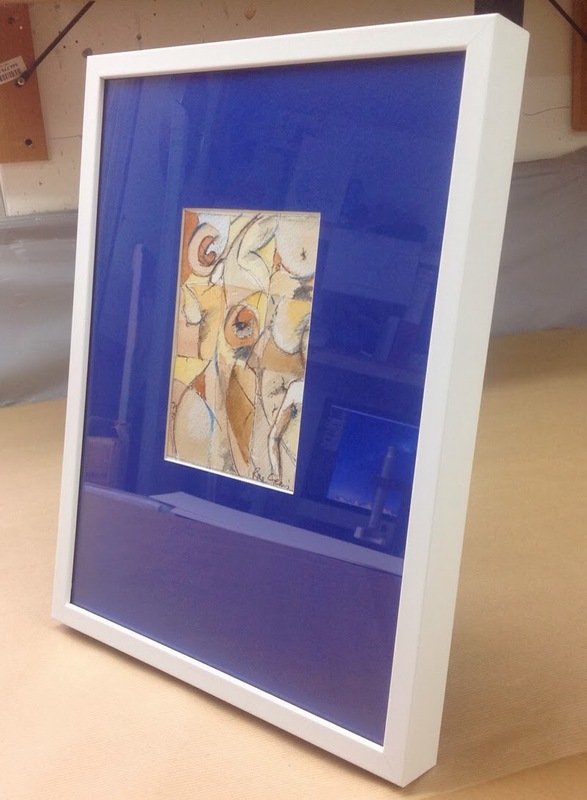 This one was a real feature piece (being about 130cm tall) so we opted for a simple, but striking, thick white gesso frame. 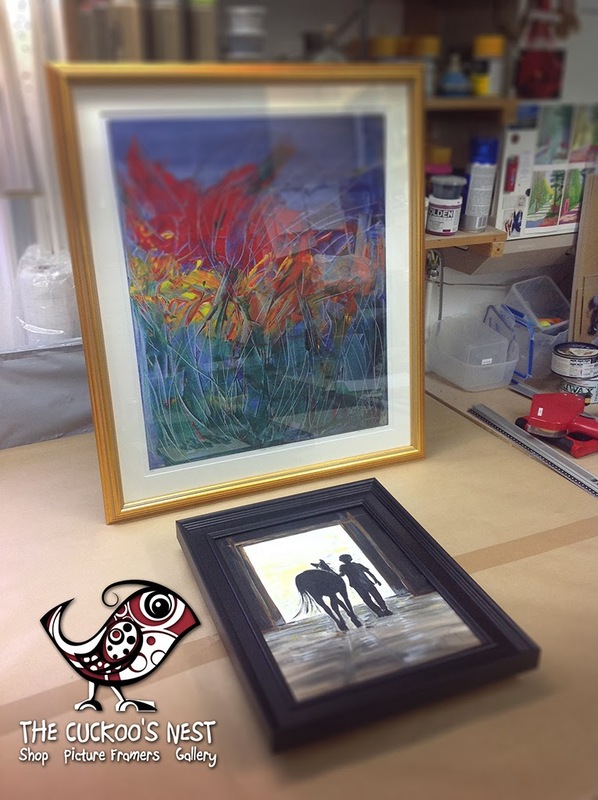 A gesso frame is made from bare wood which is covered with a mixture of animal glue and very fine chalk (The gesso), several coats of gesso are applied and once dried its sanded to give a beautiful smooth finish, some primer and a couple of coats of paint finish the job. its a time consuming process, but the end result is beautiful. 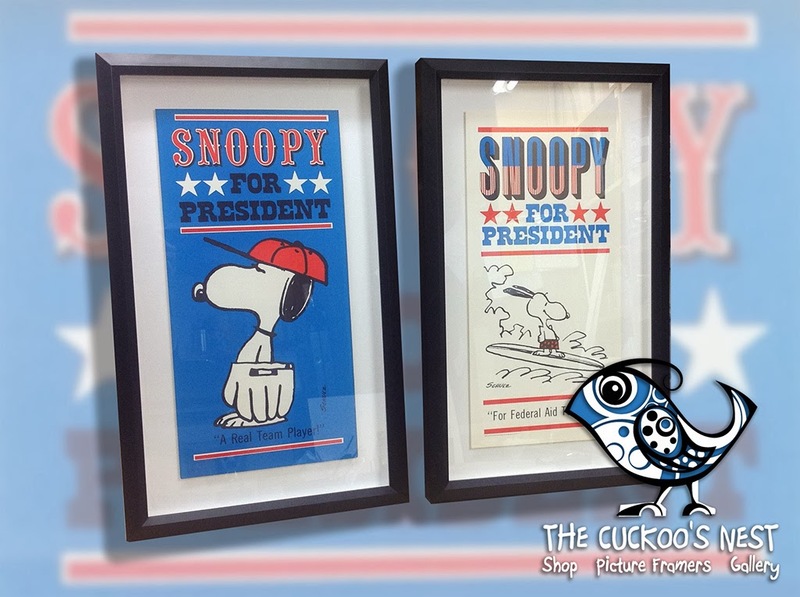 This is a lovely framing job we did the other day. 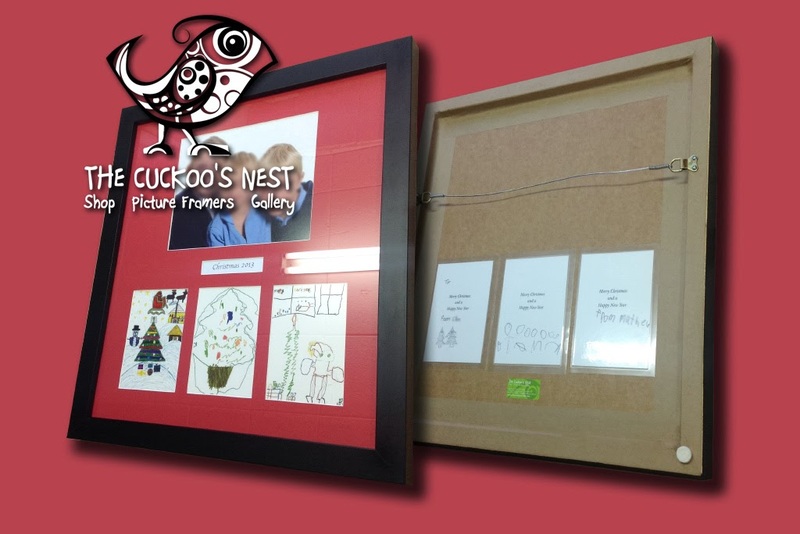 Each of the children had made Christmas cards at school, so we framed them all together, along with a photo of them. On the back of the frame we've mounted the insides of the cards with the children's signatures. A lovely memento the children as they grow up, would be a fantastic thing to do each year!